Britain’s Foreign Secretary Philip Hammond and his French counterpart, Laurent Fabius, said Syrian President Bashar al-Assad must not be part of any future government or participate in the US-led alliance against Islamic State. In a joint statement published in Arabic daily Al-Hayat and France's Le Monde, the French and British foreign ministers dismissed those who sought a rapprochement with Assad, arguing the Syrian leader was using the fear of ISIS for his own means. “From the palace where he is hunkered down, Bashar al-Assad is not just waging a war against his own people; he is also fighting to improve his public image,” the ministers wrote. Experts have raised the question whether Western governments should reestablish relations with the Syrian regime to combat the common threat posed by the Islamic State (also known as ISIS or ISIL). A four-year revolt has failed to depose Assad. “Proposing Assad as a solution to the extremists is to misunderstand the causes of the extremism. After 220,000 deaths and millions displaced, it is illusory to imagine that a majority of Syrians would accept to be ruled by the one who torments them,” they wrote. Four French parliamentarians traveled to Syria this week to meet with Assad. Former British Army chief Lord Dannant has said countries would have to work with Assad to defeat ISIS. The UN envoy for Syria Staffan de Mistura also said earlier this month Assad must be part of the solution. Hammond and Fabius, however, argue a new government is the solution, which will likely include parts of the existing regime structures, the National Coalition and moderate rebels. “For our own security, we must defeat Islamic State in Syria. We need a partner that can act against extremists. 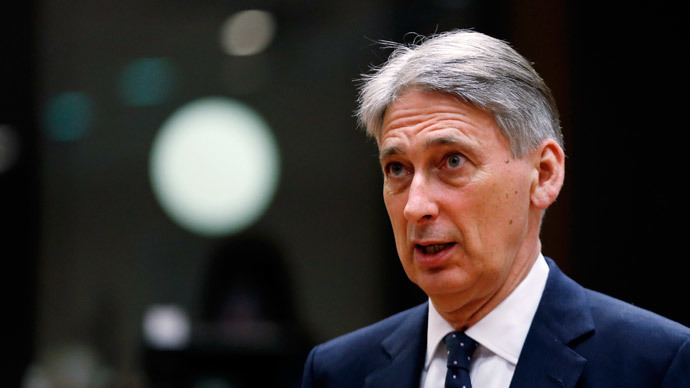 We need a negotiated political settlement,” Hammond and Fabius concluded.